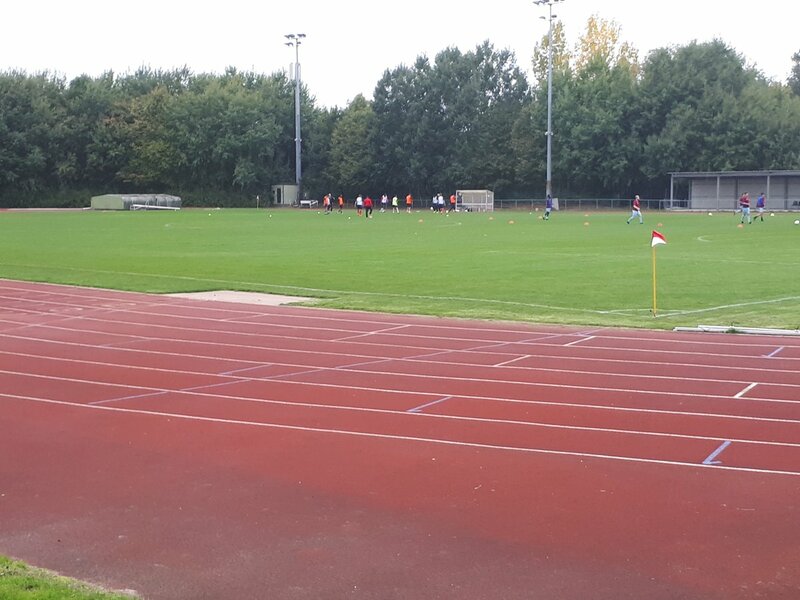 After the original incarnation of the club folded in 1974, the club was resurrected in 1996 after Burpham FC moved to the Spectrum Arena in Guildford and changed names to AFC Guildford. Initially, AFC Guildford played in the Surrey Premier League, with this league eventually becoming Division 1 of the Combined Counties League. In the 2003/04 season, the club won this league and earned promotion to the Premier Division, although they had to share at Cranleigh FC to do so, at least until the Spectrum Arena was brought up to scratch by November 2004. 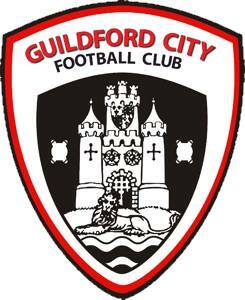 In 2005, the club changed name to Guildford United, before adopting the current name a year later. The first season under the name Guildford City was less than successful though, with the club finishing second-bottom of the Premier Division. However, the club secured a runners-up spot the following season, before later winning the league title in the 2010/11 season, only to be denied promotion when the Spectrum Arena failed a ground-grading inspection. The following season saw the club once again win the Premier Division title, but this time the ground was deemed good enough for promotion and the club entered the Southern League Division 1 Central for the 2012/13 season. The club finished 9th in this league before being transferred to the Southern League Division 1 South & West for the 2013/14 season. In this league, the club seriously struggled and finished bottom, returning to the Combined Counties League Premier Division after just two seasons at Step 4. In the aftermath of that disastrous 2013/14 season, the following three seasons saw the club struggle near the bottom of the Premier Division, although the club have been doing a bit better this season, being 3rd at the time of my visit but dropping down to mid-table since then. In the current incarnation, the club's best run in the FA Cup came in the 2010/11 season when they reached the 2nd Qualifying Round, beating Egham Town, Three Bridges and Tonbridge Angels before losing to Clevedon Town. In the club's two seasons in the FA Trophy, they won just one game, beating Cirencester Town to reach the 1st Qualifying Round in the 2012/13 season before losing to Shortwood United. In the FA Vase, the club made it to the 4th Round in the 2010/11 season, beating Sevenoaks Town, South Park, Horley Town, Brading Town and Moneyfields before losing to Leiston. Having started at the University of Surrey in Guildford just two weeks prior to this, and having to come back home for my dad's wedding the weekend before this, Non League Day on the 7th of October became my first opportunity while at University to do a groundhop and, after seeing that Guildford were at home, it was a fairly easy choice where to start. Saying that, having convinced my friend Matthew to join me for a groundhop on this date (he'd never been to a non-league game before, so this was some achievement), we had discussed going somewhere in London, but Guildford happened to work for him too as he wanted to visit Anderton's music shop in the town. On the day of the game, we met up at around 10:30am at the train station - with him being at University College London - and headed into town, looking around shops such as Game, HMV, WHSmiths, Waterstones and others before stopping at Muffin Break for lunch. After this, we headed over to Anderton's for him to look around and buy some guitar stuff, while I looked around in horror at some of the prices in there (£10,000 for a guitar, for example). Eventually, he found whatever he was looking for, and we headed to the bus station, getting to the ground by around 2:10pm. With the rain starting to come down, I started to take my circuit of photos, stopping to buy a pin badge from the club shop along the way. Eventually, by the time the game kicked off, we had settled in a covered area on the dugout side of the ground, from which we watched the game and talked about it and various other things. This was certainly a day of surprises, with the ground being better than expected, the quality of football being better than I expected and the team struggling near the bottom beating the team fighting at the top in a topsy-turvy fixture that could have very easily gone either way. That being said, I could just as easily sum this up by saying that set pieces proved most effective for both sides. The game started fairly simply, with both teams tentatively pushing and testing the other, before an excellent Guildford free kick into the Farnham box was converted by Kieran Campbell after 12 minutes. Then, Farnham caught the entire Guildford team napping to equalise through Nick Medcraft on 14 minutes. But the drama wasn't over, with a Guildford corner (which, like the earlier free-kick, was masterfully taken by Ben Franklin) 2 minutes later being converted by Kieran Campbell once again. After this burst of goals, Guildford seemed fairly content to maintain their advantage, while Farnham struggled to break through and create any meaningful chances. In the second half, Farnham came out and immediately went on the attack, causing lots of problems for a Guildford side who seemed to have become complacent and unfocused over the half time break. As a result, it was entirely unsurprising when a Farnham free kick was saved but not cleared, eventually allowing Ashley Peck to tap into the net on 51 minutes, much to the frustration of the home fans. After this, Farnham took the lead for the first - and ultimately final - time on 57 minutes, Elliot Cardona's shot rocketing into the top corner from 25 yards out. After this, the game largely petered out in similar fashion to the first half, except this time Farnham seemed comfortable while Guildford were trying to pull a goal back. In the last ten minutes, Guildford had several good chances, an excellent double save denying them an equaliser on 80 minutes, while a header hit the bar not too long afterwards. Farnham also had a few chances of their own, but ultimately no more goals followed and the away side claimed a surprise 3 points from what was an excellent advert for non-league football; so much so that I seem to have got Matt (it feels more natural to call him that rather than Matthew all the time) very interested in both non-league football and groundhopping as well (hopefully he can join me for more games as the season progresses). Despite being an athletics arena first and foremost - and all the issues associated with that (distance from the pitch, athletics nets blocking views etc.) 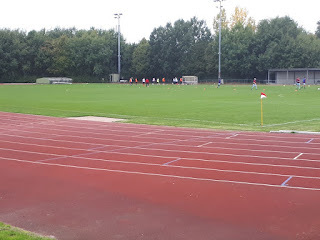 - the Spectrum Arena was nowhere near as bad as I had feared it would be, with the elevation of the hill behind the near goal and the main stand compensating for the distance away from the pitch, while at the same time I was nowhere near as far away from the pitch as I had expected to be. The elevated main stand provides seating for 255 people, while at the same time providing uncovered standing for at least 200 more people. Other than this, the only area of cover at the ground is an area of covered standing on the dugout side, which could hold around 100 people (possibly more) if the situation called for it. The rest of the ground is uncovered, with all sides but the far goal having hard standing as well. The ground's current record attendance is 295 for an FA Cup game against Kingstonian in 2012. While it is a decent ground, it is notable that the club are still looking to move away from the Spectrum Arena into a proper ground of their own, although I don't think much progress has been made on this front in recent years.